Middle Tennessee State (10-18) snapped a two-game skid on Tuesday night by defeating the Murray State Racers (11-14) by a score of 8-5 in 13 innings at Reese Smith Jr. Field. 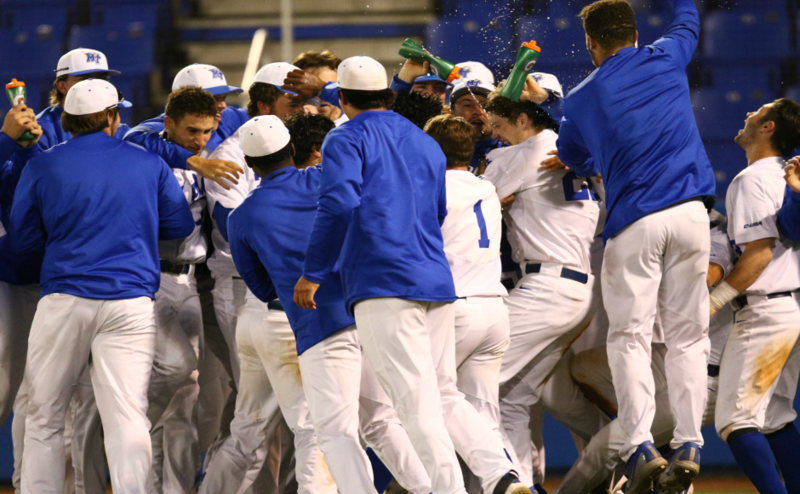 The meeting was the first between the two schools on the diamond since April 22, 2000, when the Blue Raiders earned a 5-2 victory. It was the Racers who got off to a hot start in this one, scoring four runs in the first inning and causing MT starting pitcher Andy Rivera to be yanked after just two-thirds of an inning. The Blue Raiders did manage to get one back in the bottom of the inning when catcher Aaron Antonini sent his fifth home run of the year over the right field wall, extending his hitting streak to 12 games. Racers’ rightfielder Brock Anderson reached third base to lead off the top of the sixth on a wonky play in which he recorded a bunt single, then advanced on a throwing error. The next batter, Sean Darmafall, hit a sacrifice fly to shallow left-center to bring Anderson home and extend the lead to 5-1. 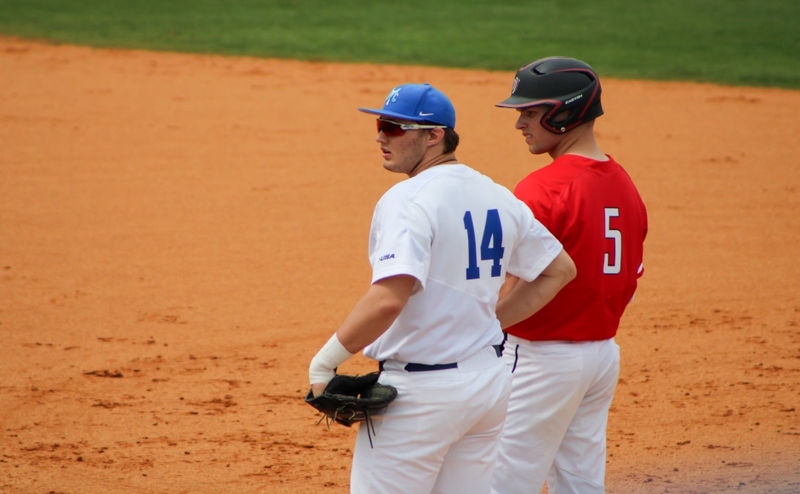 Again, the Blue Raiders came up with an answer in the bottom of the inning with three runs, highlighted by a two-run blast to left field by second baseman Nick Carnevale, his first of the year. Murray State starter Joe Ivey was then pulled from the game, posting a final line of five and two-thirds of an inning, eight hits, four earned runs, one walk and four strikeouts on 78 pitches. The score remained the same into the bottom of the ninth when right-hander Peyton Hayes came on looking to nail down the save for the Racers. Centerfielder Darrell Freeman Jr. led off the inning for the Raiders and managed to squeeze a ball down the first base line that just stayed fair, resulting in a double and moving the tying run into scoring position. Freeman Jr. then advanced to third on a groundout to the second baseman by Drew Huff. Antonini then singled to right field to bring around Freeman Jr. and knot up the score at five runs apiece, driving in his third RBI of the night in the process. The next two batters were retired via flyouts, meaning the fans in attendance would be treated to some free baseball. After three and a half scoreless extra innings, MTSU designated hitter Peyton Wigginton (Yes, the same Peyton Wigginton that leads the Blue Raiders in pitching wins, pitching starts, innings pitched and strikeouts this season) stepped to the plate with runners on second and third with two outs in the bottom of the 13th. On the very first pitch of the at-bat, Wigginton got around on the ball, carrying it high and deep into the night sky and out of the park for a walk-off three-run homer, officially filing his name under the “pitchers who rake” category. As he crossed the plate, Wigginton was showered with water, Gatorade, sunflower seeds and whatever else his teammates were able to find to douse him with. In all, Wigginton collected three hits on the night, matching his total for the season coming into the game. “Having myself be able to hit while I’m pitching, I kind of feel good because I can sort of control what’s going on on the offensive end a little bit. I’m not saying I’m going to get a hit every time, but at least I can have something to do with the offensive side of the game,” Wigginton said. The victory was the Blue Raiders’ second extra-innings win of the season. Drew Huff, who started the game at third base, but pitched in the top of the 13th, was credited with his first pitching win of the season. Pitchers David Zoz, Tyler Holcombe and Scheldon Paulk all had strong showings out of the bullpen, combining to pitch 11.1 innings and only allowing one run while recording 14 strikeouts. 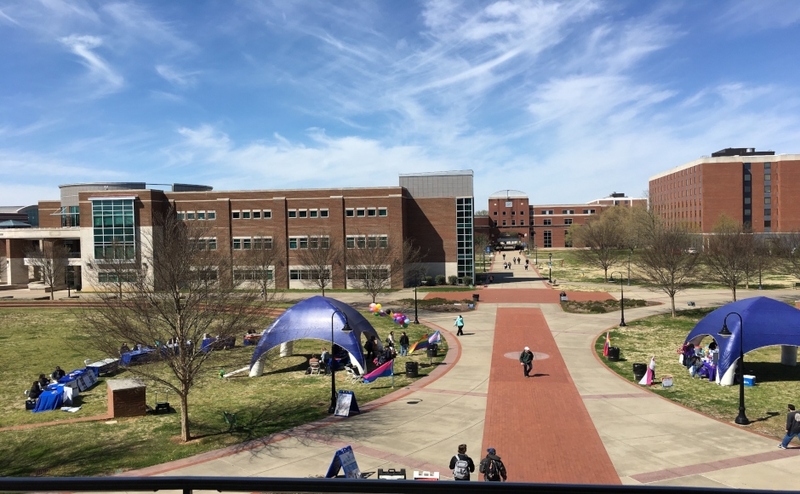 The Blue Raiders will host arch-rival Western Kentucky over the weekend, with the first game being slated for a first pitch time of 6 p.m. on Friday.